Alchemy Legal enjoys a national reputation for providing quality attorney search, staff search and consulting services. Working exclusively within the legal market since 2000, our clients include Fortune 500 companies, large top-ranked law firms, mid-sized boutiques and small general practice firms. Alchemy Legal has successfully placed attorneys, at all levels, in the worldwide offices of global corporations and major American law firms, in various disciplines of law. 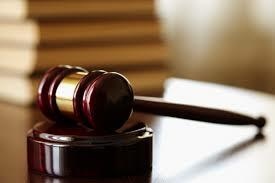 In addition, we have been instrumental in key placement of all levels of legal staff and paralegals. Our dedication to our clients and our candidates makes the placement process a rewarding endeavor. Alchemy Legal has served the nationwide legal community with expert recruiting services exclusively since 2002. We are highly regarded by our clients and well respected by our colleagues in the profession. We are proud of the excellent reputation we have earned for bringing about positive results through careful candidate screening and confidential referrals to major law firms and multinational corporations in the United States.